This Is For You Jules – A 69 lap charge around the Hungaroring ended in a win for Sebastian Vettel. 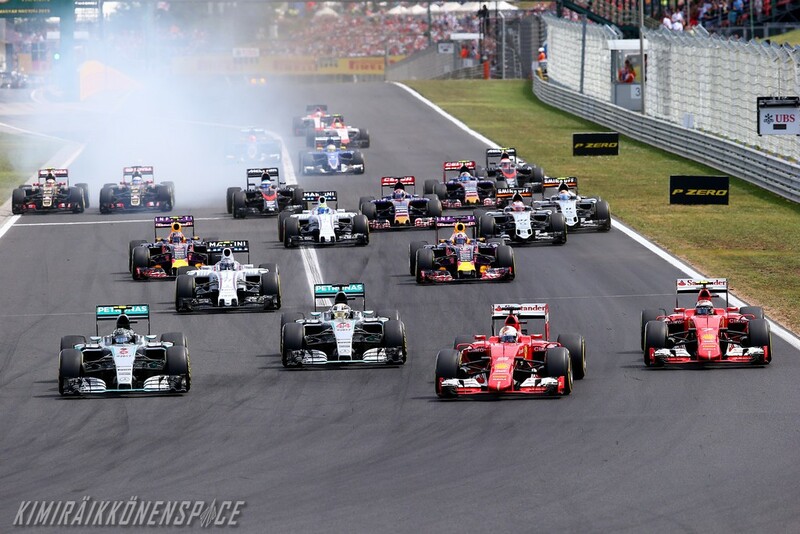 The German took the lead right after the start, with a forceful move on the Mercedes duo of Nico Rosberg and Lewis Hamilton. Vettel saw his 30 second advantage wiped out when the Safety Car came out on lap 42. Seb kept his concentration, doing a good job of managing the final third of the race, to take the chequered flag in first place for his second win with Ferrari, his first ever in Hungary. Kimi Raikkonen was very unlucky today. The Finn was lying second for much of the race, thanks to a great start and a determined overtaking move on Rosberg under braking for Turn 2. Kimi was right behind his team-mate for two thirds of the race, but his chance of a podium evaporated on lap 56 when a problem with his energy recovery system meant he had to retire. Maurizio Arrivabene -“A fantastic win! Over the past few weeks, we had had comments from people who said we were in a slump, people who obviously can’t or don’t want to read the numbers. As a matter of fact, we had anticipated long time ago that there could be ups and down in the course of the season, but that does not mean that we were stepping back. This weekend started with a horrible Friday for us, so we knew we only had P3 on Saturday to properly set the car up. We calmed down and managed to recover, but still we didn’t know we could win the race. We were only confident that we could fight at the front. Then both Seb and Kimi had a tremendous start and being able to drive in clean air surely made a difference in terms of tyre management, as we knew the first two sets of Options would perform very well. I am very disappointed, though, that Kimi din not make it to the end, because he was having a great day. Congrats to him. This is Formula One and we must accept the lack of reliability as another challenge for the future. We won today, but still keep our feet on the ground and remain humble and committed”. I am so pleased that podium competition!